“RICH: Some of the listening audience have asked about your name. Some think that maybe you’re related to General MacArthur, can you tell us a little about who you’re related to and what about the name? We have seen in Part 6 that the lineage of preachers of whom John MacArthur is the fifth generation included at least one Grand Master of the Grand Lodge of Prince Edward Island, Thomas Fraser Fullerton, and other preachers with inappropriate connections to Freemasonry, and that his distant cousin Gen. Douglas MacArthur was a 33º Freemason. Since the five generations of preachers mentioned in MacArthur’s family originally came from Scotland, we will now examine his Scottish roots and, in particular, the great Clan MacArthur. It was in Scotland that the Templars, under the protection of the Merovingian Sinclair family, would evolve into Freemasonry. 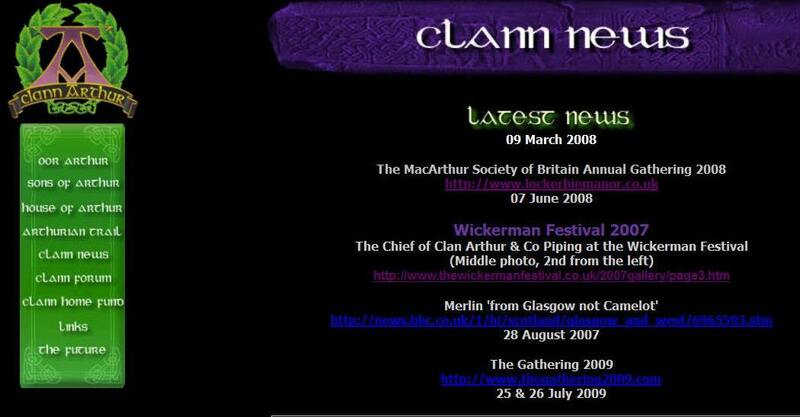 The Clan Sinclair (Saint Clair) has ever since been the hereditary Grand Masters of Scottish Rite Freemasonry. It was Henry St. Clair, the Grand Master of the Templars, who traveled by ship from Scotland to the New World some 90 years after the refugee Templars fled Europe. Henry’s objective was to find a home where the displaced Knights of the Order of the Temple of Solomon would have “religious freedom”— in other words a Masonic Empire of their very own. “Overwhelming evidence suggests that it was Henry St Clair who led the Scottish expedition to America, left behind the Westford Knight and the Newport Tower, and brought back knowledge of the New World crops. The surname MacArthur means “Son of Arthur.” The clan name was originally “Clan Arthur” reflecting the its claim of descent from the legendary King Arthur. At one time, Clan MacArthur was the most powerful clan in Scotland, having received vast territories from Robert the Bruce (King Robert I, 1274–1329) as a reward for fighting alongside “the Bruce” and William Wallace for Scottish independence from England. Chiefs of the clan are hereditary and one famous Clan Chief, John MacArthur, was put to death by King James I of Scotland in 1427. Yates and Hirschman also confirm that both Robert the Bruce and William Wallace were Merovingian Jews. Note that “Fraser” and “Richie” are names of John MacArthur’s great grandfather, Thomas Fraser Fullerton and his mother, Jesse Ritchie, and therefore of the Merovingian Jewish bloodline. The Scottish Campbell Clan was a branch of Clan MacArthur prior to the latter’s demise and both clans fought together with Robert the Bruce and William Wallace. Following the divestiture of Clan MacArthur, Clan Campbell became powerful and, in 1320, was among the so-called “sacred families” of the Merovingian dynasty. 1. 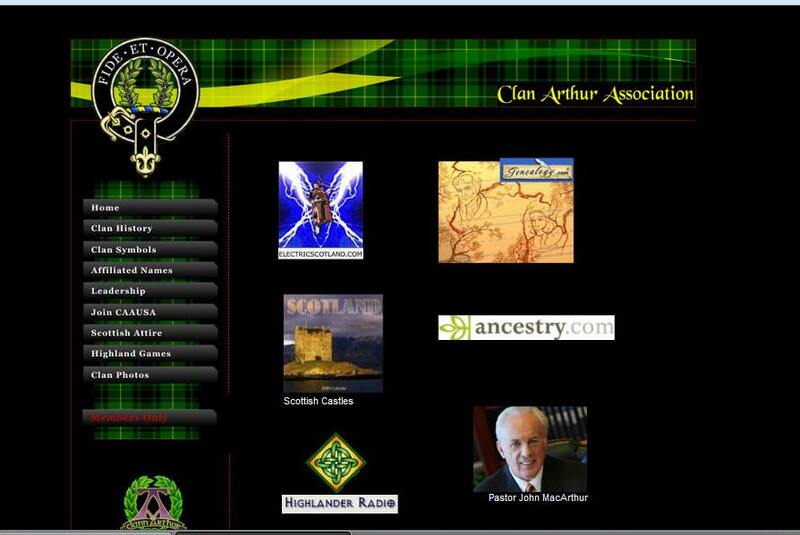 The Latest News on one Clann Arthur website reveals that many members of the MacArthur Clan are still “Sons of Arthur” at heart, conspiring to restore the ancient Celtic kingdom on a global scale, with Celtic institutions and traditions, such as ritual human sacrifice. These MacArthurs are also practicing Druids, Wiccans and Freemasons. Clan MacArthur claims blood descent from King Arthur through their male line, although evidence is not available to support this claim and there is debate as to whether King Arthur was a real historical figure. Whether or not King Arthur existed, however, the fact that the MacArthur Clan lays claim to this bloodline reveals their Merovingian lineage. What is the legend of King Arthur and what is its esoteric significance? “According to legend, the story of King Arthur begins at the Castle named Tintagel. This ruin lies in southwest England in Cornwall. As the story unfolds, Uther Pendragon, the king of ancient Britain, is in love with another man’s wife. Ygerna is the wife of the Duke of Cornwall, Gorlois. “Merlin, the magician, prophet, and seer, formulates a plan for the smitten Uther. Merlin will transform Uther into the shape of Ygerna’s husband, Gorlois. The price for this deception is that the child from this union will be given to Merlin. After spending the night together, Uther and Ygerna, have a son, Arthur. He is given to the Seer, who becomes Arthur’s guardian, mentor, and counselor. The surname “Pendragon,” a title meaning “Chief Dragon,” reveals the lineage of the legendary King Arthur. King Arthur and his renowned Knights of the Round Table were Great Britain’s version of the pre-flood gods of Atlantis, whose offspring the Bible identifies as the “sons of Anak” or Nephilim. “King Arthur: There is some Arthurian lore which claims that he piloted an ark during the Deluge, and this legend also relates that he stood just over nine feet tall. King Henry II, inspired by stories that Arthur was buried at Glastonbury, dispatched a team there to excavate the area. At a depth of nine feet they found a lead cross inscribed with the words: ‘Here lies the body of King Arthur.’ Sixteen feet below that was a stone sarcophagus containing the bones of a man nine feet tall. Skeptics put forth the argument that the lead cross could have been forged by local abbots wishing to draw attention (and donations) to their abbey. Such an argument, however, fails to address the fact that the nine-foot skeleton discovered beneath the cross would tend to negate the notion that this could have been a mere hoax. Later, in the early 1500s, another gigantic coffin was disinterred, and found to contain a skeleton 8’3” tall. History fails to record what became of these later bones, although those of Arthur were respectfully re-interred. In pagan cultures, the gods of Atlantis were alleged to have escaped the Deluge and relocated to the stars. In Egyptian mythology, Isis and Osiris sailed the “Ship of Isis,” a great celestial ship, over the Great Flood to the star Sirius. Jason and the Argonauts was a Greek epic in which the Captain, Jason, and his fifty Argonauts sailed the good ship, Argo, in search of a Golden Fleece which was guarded by a fierce dragon. The Golden Fleece typifies the anticipated return of the Golden Age. The ship is a common motif in ancient and classical mythology. Fabricated versions of the Great Flood abound in pagan cultures which present alternative accounts of the pre-flood “Atlanteans” whom they believe managed to escape God’s judgment on mankind in a celestial boat. “ARCTURUS... A golden red star situated on the left knee of Bootes, the 4th brightest in the sky. “Arcturus takes its name from its nearness to the sky Bears, Big and Little Bears, Ursa Major, and Ursa Minor. From Arktouros or Arctophilax, ‘the Bear Guard and also called ‘the Bear Watcher,’ The ‘Herdsman,’ or ‘driver of oxen’ are other titles. Many ancient cultures worshipped the “the coming one” as a Bear God (“Beast”), astrologically represented by Ursa Major, and personified in their mythologies as King Arthur is the personification of the Great Bear/Ursa Major in the Celtic legend. Modern cultures are today reviving the ancient worship of the Bear God—The “Beast”—through the entertainment and publication media. In 1939, T. H. White wrote his classic fantasy, Once and Future King, to revive interest in Arthurian lore in anticipation that the ancient king would one day return. “J. K. Rowling has said that T. H. White’s writing strongly influenced the Harry Potter books.” (Arthur Pendragon) In 1947, T. H. White published The Elephant and the Kangaroo, a satire debunking the Biblical record of Noah and the flood. The great flood is an unhappy fact in the history of the pagan world which commemorates the ancient dead on the pagan feast of Samhain, or Halloween. Under the delusion that the pre-flood gods sailed in ships to the stars, pagans await their return to rule the world. “Thus, the sleeping, half-dead gods who inhabit the subterranean tombs of Saturn, Satan, Hermes, Hercules, and even Christian Rosenkreutz (as an embodiment of Osiris, the solar god-king) could all mythically represent the same fallen kingdom, which, having lost the Grail and its mandate to rule, has occulted itself, gone underground, become invisible, or fallen asleep, until such time as the proper individual shall come along to liberate him/it. Then the sunken kingdom shall rise, the dreaming lord shall awake, the phoenix emerge from the ashes, and the proper universal balance shall be restored. In the meantime, the secret royal doctrine is kept alive by the initiates/ descendants of that sleeping god (the same doctrine that is written upon the Grail in its form as the Emerald Tablet, or Gorral). The Argo was no ordinary boat, but a magical barque of the gods. Argo was created by the Greek goddess Athena, the Isis of Athens, as an oracular ‘self-impelled’ ship that guided and conveyed its rowers to their appointed destination. The fifty oarsmen on the good ship Argo were the Anunnaki, i.e., the Nephilim which descended on Mount Hermon and mingled their seed with the daughters of men (Genesis 6). The Anunnaki were the gods who ruled over Atlantis, and their demonized offspring were the pre-flood civilization which God judged for its genetic corruption of the human race. In the Arthurian legend, King Arthur’s barque, also called Arthur’s Chariot or Wain (wagon), sailed to the location of Ursa Major, the Great Bear constellation, whence Arthur shall return as the ‘Once and Future King’ in the person of the Antichrist. “In the early Welsh poem ‘Preiddeu Annwfn’. Arthur visits the Celtic Underworld, Annwfn, and his adventures closely parallel those of the cauldron-seeking god, Bran the Blessed. Even in Geoffrey of Monmouth‘s ‘History of the Kings of Britain,’ and Sir Thomas Malory‘s ‘Le Morte D’Arthur,’ upon being fatally wounded in battle, Arthur is carried to the mystical Avalon, apparently the Underworld home of the Celtic god, Afallach. Many legends around the country attest to Arthur‘s immortality. He is said to be sleeping in one of numerous caves waiting to return and lead his people. Of Camelot, as in the days that were. That without help I cannot last till morn. Aidless, alone, and smitten thro’ the helm. A little thing may harm a wounded man. ‘Ah! my Lord Arthur, whither shall I go? Where shall I hide my forehead and my eyes? And every chance brought out a noble knight. The holy Elders with the gift of myrrh. By night, with noises of the Northern Sea. Three times, and drew him under in the mere. 1 And I stood upon the sand of the sea, and saw a beast rise up out of the sea, having seven heads and ten horns, and upon his horns ten crowns, and upon his heads the name of blasphemy. 2 And the beast which I saw was like unto a leopard, and his feet were as the feet of a bear, and his mouth as the mouth of a lion: and the dragon gave him his power, and his seat, and great authority. “The article, based on information put forth by Burke’s Peerage, claims that every single President of the United States has had a notable amount of royal European ancestry, and in each Presidential race, the one with the most royal genes is the one who wins – every single time. This tendency has been noted in supposedly Democratic European politics as well, prompting some to charge that a global conspiracy exists to keep power within the hands of a specific gene pool. According to Merovingian literature, there are only two purebred Merovingian lineages, meaning no admixture of human genes to the “pure” angelic bloodline. These are the “Plantard” and “Saint Clair” bloodlines, Plantard being a branch of the ancient “de Vere” bloodline through Godfroi de Vere de Bouillon, who captured Jerusalem in 1099 and formed the Knights Templars (Military Order of the Knights of the Temple of Solomon), as well as the Prieuré de Sion. For example, Barack Obama’s genealogy reveals that he was descended from William I “the Lion”, King of Scotland, and Henry II of England. King William I “the Lion” of Scotland was descended from Godfroi de Bouillon, the first Grand Master of the Prieuré de Sion. Henry II of England was of the Angevin Plantagenet dynasty of the Merovingian bloodline. The heraldic Plantard family crest displays two Rampant Bears which symbolize the Great Bear and Little Bear constellations, Ursa Major and Ursa Minor. The surname “Plantard” is an esoteric reference to the rampant bear, the bear being a “plantigrade” animal of the genus Ursus which walks on the sole of its foot like a man. 1. (Zo["o]l.) Any species of the genus Ursus, and of the closely allied genera. Bears are plantigrade Carnivora, but they live largely on fruit and insects. A plantigrade animal, or one that walks or steps on the sole of the foot, as man, and the bears. It is important to understand that Greek, Roman, Celtic and all pagan mythologies are esoteric fables of the gods of Atlantis, the fallen angels whom God judged for genetically corrupting the human race. In their New Age book The Light Shall Set You Free, Norma Milanovich and Shirley McCune revealed the New Age plan to recreate pre-flood world. This feat will be achieved by fallen angels who will present themselves as reincarnated high priests and priestesses of Atlantis who were sent by the Ascended Masters to assist the Earth to enter the “Fifth Dimension.” Among the Ascended Masters are founders of major religions, including Jesus, his mother Mary, Moses and Solomon. Another New Age book, Connecting With the Arcturians, includes Joseph Smith, founder of the Mormons. A channeled book by Norma Milanovich, We The Arcturians: A True Experience (1990), states that these Ascended Masters employ Celestial Beings called “Arcturians” who live on the “fifth dimensional planet” Arcturus, to travel the universe on a Starship and to “represent Heaven’s enlightened Celestial Command.” The Arcturians have to admit that Arcturus is not a planet but a star—the brightest star in the constellation Bootes, near Ursa Major, the Great Bear. Recall that the namesake of Arcturus, King “Arthur,” sailed on a celestial barge to the Arcturian star whence he shall return to Earth as an Ascended Master. The Ascended Master Jesus, however, is not God, but merely a “ray” of the “Great Central Sun, which is God” (p. 71). In other words, their Ascended Master Jesus is inferior to the Sun God who is Lucifer, which means the Light or Shining One. “DID JESUS AND THE APOSTLES HOLD COUNCIL WITH ALIENS FROM OUTER SPACE? These “Arcturians” also claim that, as Jesus’ Apostles, they continued after Jesus’ death to communicate with the Celestial Command on the star “Arcturus” through the power of the “I AM.” And they had the power of the I AM flowing through them. Since Jesus’ Apostles were leaders and missionaries of the early Christian Church, the Arcturians are claiming that they were these leaders of the early Christian Church! When this celestial Round Table manifests on earth, it will be chaired by the Once and Future King, a descendant of the legendary King Arthur who sailed on a celestial barge to Arcturus, the brightest star in the Great Bear constellation. According to The Revelation of King Arthur by Robert Bruce Fruehling, genealogical studies have been underway for centuries to determine the identities of the descendants of King Arthur. “Geoffrey Ashe is another highly accredited Arthurian historian. He received the Ph.D. degree from Cambridge and is the author of The Discovery of King Arthur. This book cuts through the myths and proves Arthur not only existed but was more like the Arthur of legend than historians ever suspected. Its subtitle is ‘In Association with Debrett’s Peerage.’ Debrett’s Peerage and Baronetage was established in 1769. It contains the genealogical details of every British duke, marquis, viscount, early, baron, and baronet, together with all the living members of their families in the male line. Fruehling argues that the descendant of King Arthur, who will chair the global Round Table, will belong to the British nobility. There were actually two King Arthurs, says Fruehling, a British King Arthur who was born in Cornwall in southwest England and a Scottish King Arthur who was born near Hadrian’s Wall on the border of Scotland and England. “I find Laurence Gardner’s explanation to be the clearest. I will quote the paragraph, for it demonstrates what people of power believe. The foreword to Bloodline of the Holy Grail was written by Prince Michael Stewart of Albany, who is also the author of The Forgotten Monarchy of Scotland. It should be noted that Robert Bruce Fruehling may be a descendant of the Scottish king, Robert the Bruce, whose daughter married a member of the Stewart family, Walter Steward. For centuries the Scottish Stewarts have been disputing the House of Windsor’s right to the British throne, claiming that Stewart is the French form of the surname Stuart, the monarchy which reigned in Great Britain from 1603 to 1714, from James VI & I to Queen Anne, daughter of James II. (See: Prince Michael: The Counterfeit Archangel) In his book, The Forgotten Monarchy of Scotland, Prince Michael claims to be the “legal Pretender to the throne of England” (p.302) which he would receive by default of Prince Charles. This dynastic rivalry explains the myriad of books and articles predicting that Prince Charles and Prince William will be the Antichrist. Revelation 12:9 identifies the great dragon as Satan. “Robert Bruce” Fruehling’s suggestion that Prince William will be the Antichrist is unsupported either by Scripture or spurious evidence like the red dragon on the flag of Wales. Prince William will likely be the counterfeit Antichrist, who may change his name to King Arthur to reinforce the deception. Moreover, William’s half brother, Prince Harry, may be the counterfeit false prophet, Merlin, who was Arthur’s cousin. Which raises the question, are the Harry Potter books such as Harry Potter and the Half Blood Prince, actually about the Royals?! Nicholas de Vere also traced the Anunnaki Dragon lineage from the Egyptians and Sumerians through the Scythians to the Druidic priesthood of the Tuatha de Danaan; however, de Vere identifies them specifically as the Picts of Scotland. It does appear that the Scots and Brits are conspiring to stage a counterfeit Antichrist who will be overthrown by the true Antichrist who will pose as “the Christ.” This false Christ will be revealed to the world in his time, that is, in his own season, the Great Tribulation. At that time he will assert his authority over mankind by enthroning himself in the rebuilt temple of Jerusalem and displaying miraculous powers in order to prove his divinity. In his own time refers to the specific point in time during the Tribulation period when the son of perdition will be revealed to all of mankind. However, this individual has already been revealed to occultists all over the world in their New Age publications and entertainment, such as Holy Blood, Holy Grail and The Davinci Code, and these revelations are confirmed by popular books and entertainment like William Cooper’s Behold A Pale Horse and Miley Cyrus’ MTV performance. Since the uninitiated do not take New Age propaganda seriously (and if they do pay attention, they fail to spot the cryptic clues disclosing the identity of the New Age Christ), the end time deception is carried on in plain sight. Therefore, when the false Christ rises to global power, occultists will recognize and worship him, and the uninitiated will believe he is “Christ” on account of his miraculous powers. Little wonder that Jesus foretold that there would be a false Christ and false prophet who would deceive even the elect. According to The Da Vinci Code: “Only two direct lines of Merovingians remain. Their family names are Plantard and Saint-Clair. Both families live in hiding, probably protected by the Priory.” (p. 260) Thus, the False Christ, of the Merovingian lineages of Plantard and Saint-Clair, is presently in hiding but will be revealed to the world in his time. Meanwhile, false teachers proliferate disinformation and false interpretations about the identity of the Antichrist, thereby laying the foundation for the great Tribulation deception. The symbolic representation of the future Antichrist as revealed in Holy Blood, Holy Grail signifies his “divine right” to reign as the “Once and Future King.” Robert Fruehling claims that the blood relatives of Jesus Christ, who were called “Desposyni,” governed the early churches, and will soon reclaim their divine right to rule both the Church and the world! “Interestingly, clans are mentioned, but not tribes. As a rule, clans are a smaller family unit than tribes. Many clans make up a tribe. Here we have the house of David from the tribe of Judah. The house of David is then divided, and two clans of David’s house are implied. Solomon would represent the kingly line of David, and we have already seen that Joseph, Jesus’ earthly father was of that line. Nathan is then mentioned, and that was Mary’s line. Fruehling’s disclosure that the Desponysi are the lineage of the Scottish King Arthur is crucial to understanding our subject, John MacArthur. 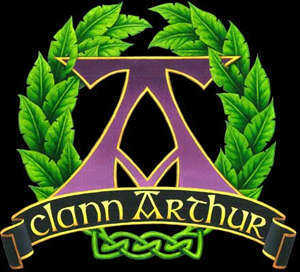 That the Scottish Clan MacArthur claims to be “Sons of Arthur”—direct descendants of King Arthur, Jesus, Solomon and David — places John MacArthur in the “clan” which will claim to be the bloodline of Jesus and preside over the Druidic Dragon Court, the Dragon Lords of Anu, who will rule the world. Can you rise again and resume your power? The title page of Robert Bruce Fruehling’s Revelation of King Arthur states, “Unless otherwise noted, all Scriptures are taken from the Holy Bible, New International Version, NIV, 1973, 1978, 1984.” In many verses where the King James Version and New King James use the word family, the NIV uses clan. It is most interesting that the Hebrew word מִשְׁפָּחָה mishpachah, which should be translated into English as “family,” has been mistranslated using the Scottish dynamic equivalent “clan” in 15 modern English bibles. Another mistranslation, “slave” for the Greek word δοῦλος doulos, instead of “servant,” is becoming more common as modern versions are “updated”. As the Once and Future King, King Arthur is the astrological personification of the Antichrist who will preside over the revived Druidic Dragon Court. 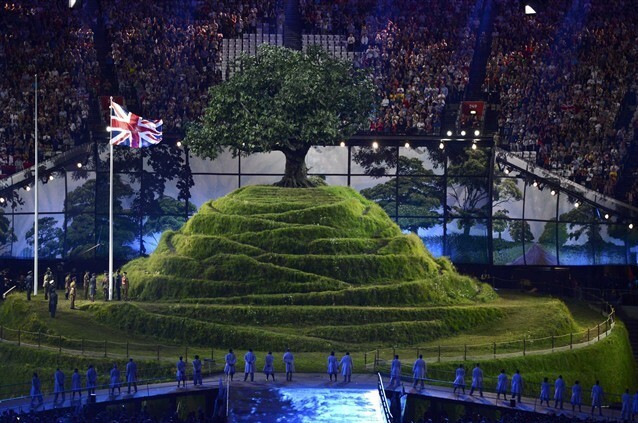 As the Druidic ‘King of Kings’ – the Pendragon – he will conduct a reign of terror over the nations. The Antichrist’s kingdom is revealed in Bible prophecy, details of which are the subject of our report, Heeding Bible Prophecy, in the New Government section. Heeding Bible Prophecy exposes the elaborate system of counterfeits that will be staged to deceive the masses during the first half of the Tribulation period, three and one half years before the prophetic cast of characters comes on the scene for the Great Tribulation. The real Mark of the Beast will not be the microchip implant (as John MacArthur implies), nor will the Antichrist be Prince Charles or Prince William or a Muslim (as John MacArthur teaches) and the False Prophet will not be the Pope! These will be the prearranged counterfeits of the genuine fulfillment of Bible prophecy. The actual fulfillments of endtime prophecy are identified by careful study of prophetic passages – every word including the underlying Greek text – and research of esoteric literature which divulges the identity of the main characters and other aspects of the conspiracy. “The Campbellite denomination mentioned in chapter 2 seems to have been the fruit of the Campbells’ abhorrence of Catholicism and partial embrace of Knox’s Presbyterianism. We believe their early and strong support for Knox was founded on a Crypto-Judaic orientation, which found Protestantism more congenial than Catholicism.” When Scotland Was Jewish: DNA Evidence, Archeology, Analysis of Migrations, and Public and Family Records Show Twelfth Century Semitic Roots, p. 50. Clan Macarthur’s barbarous Druidic priesthood may be one reason King James I, King of Scots (1394–1437) beheaded the Clan Chief, John MacArthur, in 1427, and divested the Clan of their lands and status. Ten years later King James “was murdered at Perth on the night of 20/21 February 1437 in a failed coup by his uncle and former ally Walter Stewart, Earl of Atholl.” (The Temple & The Lodge, p. 25) Walter the Steward, or Stewart, was related by marriage to Robert the Bruce.